Have you been diagnosed with Polycystic Ovarian Syndrome? If you answered yes to any of the above questions you could be one of millions of women suffering from Sleep Disordered Breathing. Labored respiration during sleep caused by nasal or oral airway obstruction. Even simple snoring is considered an indication of the existence or onset of a problem. Women who suffer from SDB experience a loss of muscle tone called airway patency upon falling asleep. Just like the rest of the body, the airway should relax during sleep. However, SDB causes the airway to relax too much, and soft tissues in the throat fall back against the tongue, partially or completely cutting off air flow to the lungs, depending on the severity of the SDB Problem. Women at all stages of life can be affected. Excess fat around the neck and on the abdomen restricts respiration and leads to Sleep Disordered Breathing. Women who are obese run the risk of developing Diabetes, cardiovascular disease and a host of other conditions. Sleep Disordered Breathing only exacerbates the risk. All pregnant women are at risk to develop nasal swelling that can cause SDB. Even the slightest airway resistance results in the mother’s lack of oxygen at night and adversely affects the fetus’ growth. Sadly, in some cases, the mother’s airway becomes completely obstructed many times throughout the night. 30% of all pregnant women snore. 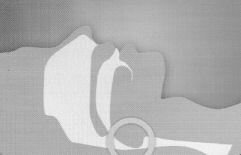 Women who snore habitually deliver developmentally-retarded babies 7% of the time. Women who snore occasionally deliver developmentally-retarded babies 2.3% of the time. PCOS causes a woman’s body to produce too much testosterone. Testosterone distributes fat on the male body. If a woman produces too much testosterone, any weight she gains will be distributed in places specific to males-usually around the neck and on the abdomen. Women are unequipped to handle fat in these areas. This fat weighs down the airway and hinders abdominal rise and fall, causing Sleep Disordered breathing. PCOS patients are 30x more likely to suffer from sleep disordered breathing than statistically matched controls. Menopause causes extreme hormonal changes in a woman’s body. The production of estrogen, progesterone, and pituitary hormones decreases drastically. Many peri and post menopausal women are overweight and unable to lose it. Their bodies are no longer producing hormones that dictate the storage of fat and stimulate breathing. Sleep Disordered Breathing is very common in peri-and post menopausal women. Post-menopausal women with an AHI of 5 are 2.6 times more likely to have SDB; Post menopausal women with an AHI of 15 are 3.5 times more likely to have SDB. Snoring is always indicative of the development or existence of a SBD. Upper Airway Resistance Syndrome involves labored breathing and a semi-obstructed upper airway. It is common in young women, and is often accompanied by headaches, gastroesophageal reflux (GER), and asthma. 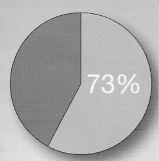 Prevalence of GER in patients with a SDB problem is estimated at 73%. “A breathing disorder characterized by repeated periods of no breathing for at least 10 seconds at a time.” These periods during which the body is entirely without oxygen are called apneic events and can last as long as a minute each time. Apneic events can happen hundreds of times a night, and the sufferer is completely unaware upon awakening the next morning. Sleep is a major part of our overall health. The following is a brief quiz from the American Academy of Sleep Medicine may provide a clue as to how healthy your sleep is. If you answer true more than twice, you may want to discuss this quiz with your dentist, physician, or other health care professional. Ask about the possibility of oral appliance therapy. I feel sleepy during the day, even when I get a good night’s sleep. I get very irritable when I can’t sleep. I often wake up at night and have trouble falling back asleep. It usually takes me a long time to fall asleep. I often wake up very early and can’t fall back asleep. I usually feel achy and stiff when I wake up in the morning. I often seem to wake up because of dreams. I sometimes wake up gasping for breath. My bed partner says my snoring keeps her/him from sleeping.